MOSCOW, Jan. 18 (Xinhua) -- Russia detected 23 foreign aircraft flying close to its border for surveillance purposes over the past week, the Russian Defense Military's newspaper Krasnaya Zvezda reported Friday. Russian aircraft were sent to prevent the foreign planes from entering the country's airspace, said the report, adding that there were no trespasses. Foreign spy planes have often been reported flying near the Russian border as Russia frequently accuses the United States and the NATO of conducting such surveillance activities. Last November, a U.S. Navy EP-3E Aries plane was intercepted by a Russian Su-27 fighter jet over the Black Sea. 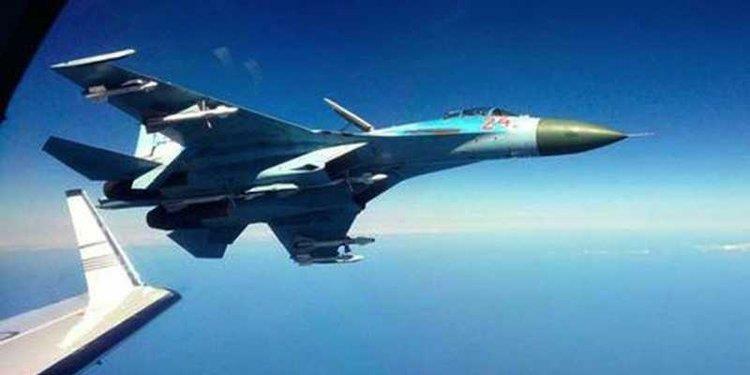 The U.S. Navy said its plane was flying in international airspace and called the interception unsafe, while Russian Defense Ministry said that the U.S. plane was flying near Russian airspace and that the Su-27 fighter jet identified the U.S. plane "at a safe distance." Previously, Russia also blamed NATO for increasing surveillance activities in the Baltics and the Black Sea, according to Russian news agency TASS.